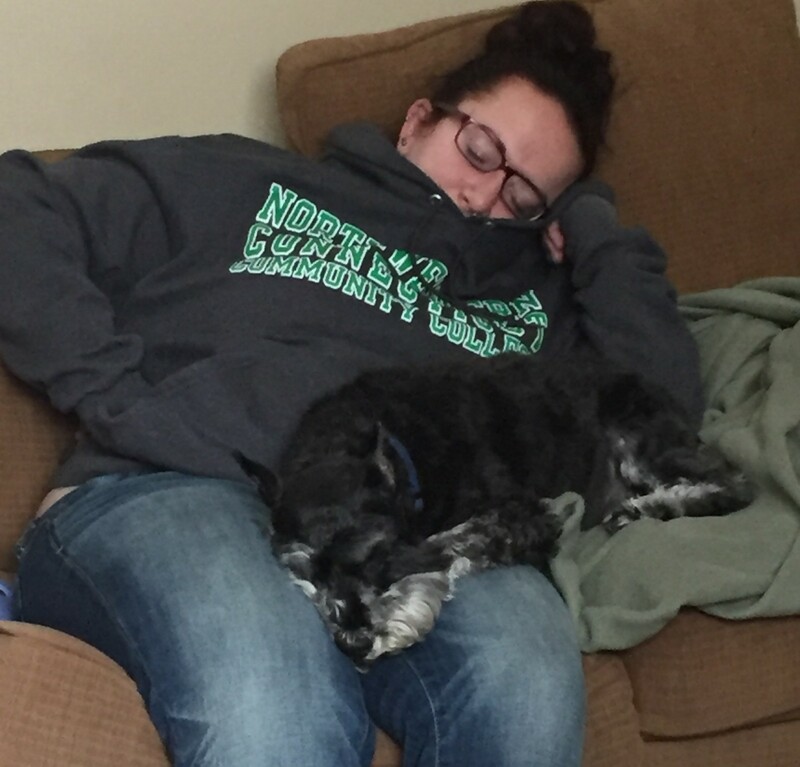 Growing up with cats, Stephanie’s connection with animals began early and set her on a journey to the Veterinary Technician program at Northwestern Community College, where she is currently studying and preparing to take the national veterinary technician licensing exam. Her miniature schnauzer Cody is her study companion. Stephanie is also passionate about marine life. She volunteers at Mystic Aquarium where one of her favorite tasks is feeding the cow nose rays. When the chance for her to swim with manatees arose on a recent vacation, she enthusiastically took it. Stephanie, whose roots are here in Manchester, loves to travel and visit with family members spread out from Michigan to Florida. She seizes the opportunity for road trips and has made it a goal to visit all 50 states. She enjoys time outdoors be it on the hiking trail or at the beach.